Thanks to all for participating, here are the winners of the competition! Special thanks to Make Something Edmonton for being involved in Ideas For Edmonton! 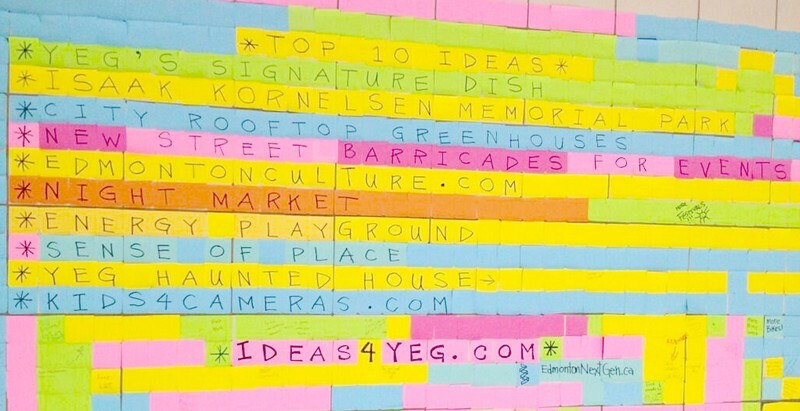 See the Top 10 ideas up at the Churchill Square LRT Pedway! Video of the Post-It-Notes put up on the Churchill Square LRT Pedway! Video of the Post-It-Notes on a Smart Car to Promote ideas4yeg.com!